Soil health. Sounds like a good target we should be aiming at. Where do we start? What do we measure? How do we know when we get there? The first thing we need to find out is where are we? Nicole Masers is an agro-ecologist with Integrity Soils. For her three-day course in regenerative soil systems, part of my pre-course assignment was to send a soil test away to Earthfort Lab for a biology test. In order to get a baseline, we sent three samples of our soil away, along with a neighbour’s soil sample. When the testing was done, we had an email asking if we were interested in a one-on-one with Matt Slaughter, the Earthfort Lab owner and manager. After a long phone call, we developed new management targets and strategies for our operation to further improve our microbial counts. It was very interesting to see the difference between our soil and our neighbour’s soil. Mother Nature tries to keep the fungi:bacteria ratios in check. She tries to make bacterial-based soils, which is what most of are soils are in “traditional” agricultural, more fungal. Mother Nature does this by getting weeds to grow, and signaling that we need to change our environment and management by having insect and disease issues. On the other extreme, fungal-dominated soil are found in forests. These are slow-growing, stable ecosystems. In either case, when the soil microbe balance becomes “extreme,” Mother Nature creates disturbance to try to create more balanced microbial populations. Bacterial soils will cycle nutrients quicker, but are prone to nutrient losses. Fungal soils cycle nutrients slowly, but create a more sustainable growth. Have you ever broken up hay or pasture? Did you notice that for the first few years, there are usually no wild oats or cleavers, but after a few years they started coming back? Wild oats and cleavers grow in soils that are predominately bacterial. Hay or pasture tends to be close to balanced or slightly fungal in nature. As the field is cultivated, sprayed and fertilized, the soil drifts toward a more bacterial ratio. Weeds will show you what is wrong biologically with your soil. In the soil, there is more organism diversity than we may ever know. With change (climate, plants growing, human- or naturally-created disturbance or changing season), a different part of the microbe diversity awakens. As agriculture management continues with monocultures and cropping systems with low diversity, we will continue to see low diversity in the microbial populations that are active in our soil. With low diversity, we see issues with plant health, nutrient cycling, water cycling, and the reliance on synthetic inputs. We still use conventional management on our farm — we purchase some herbicides and fertilizer. The key is that the amount we require today is much lower than in the past. As we build soil health, balancing the bacteria and fungi in the soil, the amount of chemical inputs we purchase will continue to decline. Bacterial soils are quite easy to identify by looking at or seeing how the soil responds to inputs. 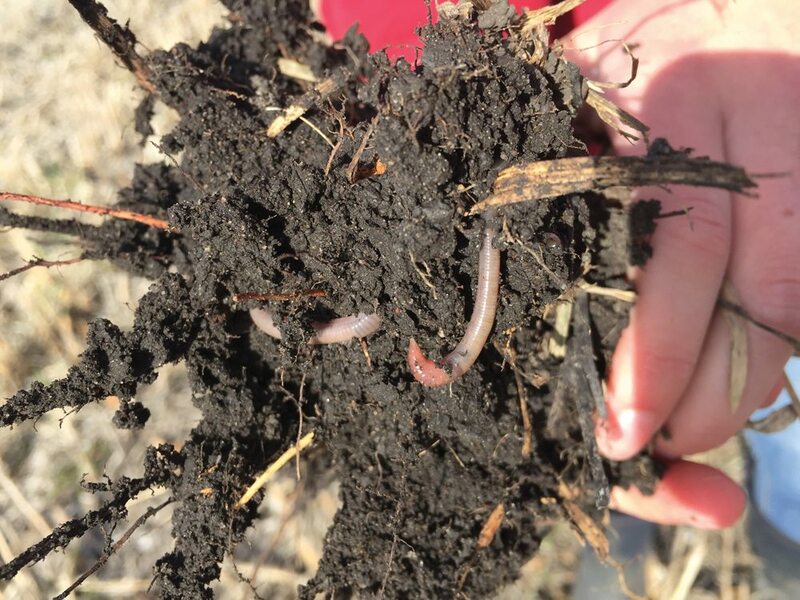 Bacterial soils tend to have low soil aggregation, respond to inputs, have slow water infiltration, will have weeds that are easy to pull out of the soil, like cleavers and wild oats, and may have erosion issues. Soils are driven to a bacterial-dominated state though high disturbance deep in the soil profile, season-long fallow, high rates of synthetic fertilizer, use of fungicides and seed treatments, monoculture and simple cropping systems. The issues with drainage in Western Canada were driven by years of above normal rainfall. But, as unpopular as this may be, the reason drainage became such as issue that the water infiltration into the soils has decreased at an alarming rate. Our soils are now hydrophobic — repelling water instead of storing it. Yes, there are areas where the soil is saturated and abnormal amounts of rain have fallen, but there are too many acres where water ponds on the soil. By increasing soil aggregation, organic matter, and fungal populations and improving soil health, we can make many of these issues disappear. 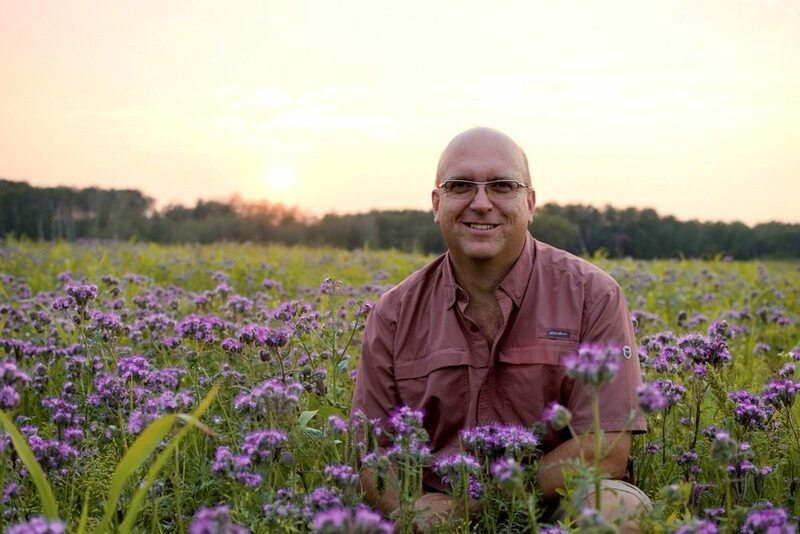 Kevin Elmy is learning about soil health, and looking for ways to grow crops with fewer inputs and healthy soils. On the other extreme is a pasture or hay field that becomes non-productive and too fungal. These forage stands will have encroachment of woody shrubs, an indication that the soil has become too fungal. Before roads were made across the prairies, Mother Nature kept the soil from becoming too fungal through grass fires that decreased the fungal population and increased the bacteria. That would not create anything positive today. But adding nutrition, doing some soil aeration and increasing plant diversity we can stimulate bacteria, allowing quicker nutrient cycling (assuming there is a food source for the microbes to eat). Carbon is the key to energy in ecosystems. Plants capture carbon from the atmosphere and converte it to sugars. A large percentage of that sugar gets leaked into the soil to feed microbes, which convert soil nutrients into plant-available sources. In most agricultural soils, the organic matter is decreasing. The decrease of organic matter is a loss of carbon from the soil. The loss of carbon and organic matter coupled with monoculture farming practices is reducing microbial diversity in the soil. This is creating a bacterial soil that relies on our “help” with fertilizer, pest suppressants and tillage. I am not advocating using no synthetic inputs, but we as an industry need to look at how to manage with less. Fewer inputs with healthy soils will increase our productivity and profitability. We need to look at how to properly feed the soil ecosphere to keep it healthy and productive. Every time we do something to the soil or add something, we are adjusting the microbial profile. As Nicole Master said, every time we do something negative to the soil, we should aim at doing two positive things. Its time to start building the resource we call dirt.